When I started Bare Fiction, back in 2013, I had some generous early support in reading submissions for the magazine from these kind folks: Emma Andrew, Branwen Davies, Amelia Forsbrook, Lisa Parry, Tom Wentworth, Shane Morgan, Zoe Gilbert, Christopher Topher, Jane Roberts. As peoples’ lives went their various ways, Bare Fiction slowly went back to how it started, just myself (Robert Harper) running the whole thing again. It was tough. I didn’t do as a good a job as I needed to. After five years of the magazine gaining support and positive responses from the UK and beyond, it was time to make a concerted effort at getting my head around how to proceed. So, I give you the new Bare Fiction dream team of assistant editors and readers; poised to help the magazine finish 2018 in style and take us soundly into the future. 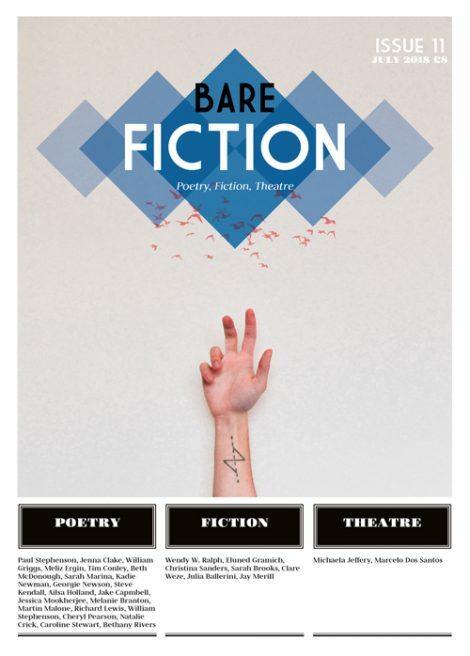 Some of the new team have had their work in previous issues of the magazine, so having them want to come back and support Bare Fiction as it progresses is amazing. Equally, there are people on the team who’s names I hadn’t come across before; subscribers and supporters behind the scenes. I truly cannot wait to work with them all. Anthony Lawrence has published sixteen books of poems and a novel. His most recent collection, ‘Headwaters’ won the Prime Ministers Literary Award for Poetry in 2017. His individual books and poems have won many awards including The New South Wales and Queensland Premiers Awards, the Blake Poetry Prize, the Philip Hodgins Memorial Medal and the Newcastle Poetry prize. He is currently completing a book of prose poems and a new novel. He is a Senior lecturer at Griffith university, Queensland, where he teaches Creative Writing and Writing Poetry. He lives on Moreton Bay, Queensland. Anne Gill is currently studying her masters in Writing Poetry at Newcastle University. A University of Birmingham alumna, she was part of their winning slam team in 2018 and has performed at events in both the UK and abroad. Her poems have appeared online and in print in Strix, Ink Sweat and Tears and The Dizziness of Freedom anthology. Her first pamphlet is forthcoming in 2019 with Bad Betty Press. 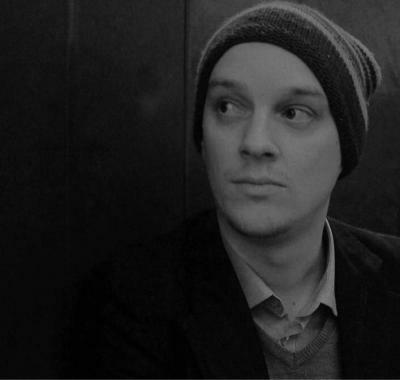 Richard V. Hirst is an editor and writer from Manchester. 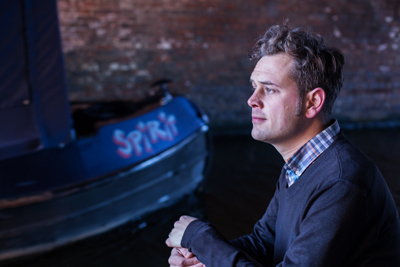 He was joint winner of the 2011 Manchester Fiction Prize and is the co-author of Bus Station: Unbound, Plunge Hill and The Night Visitors, an award winning ghost story co-written with Jenn Ashworth and told entirely via emails. His latest book is We Were Strangers, an anthology of short stories by Sophie Mackintosh, Eley Williams and others, each of which takes its title and inspiration from a track on Joy Division’s Unknown Pleasures. His work has appeared in The Guardian, The Big Issue and Time Out. FJ Morris is an award-winning writer from Bristol, UK. You can find her stories soaring the skies thanks to a story vending machine in a Canadian airport, and chiming away in publications all around the world. Her collection This is (not about) David Bowie will be available in November 2018. Anita Goveas is British-Asian, based in London, and fuelled by strong coffee and paneer jalfrezi. She was first published in the 2016 London Short Story Prize anthology, is a Creative Future Literary Award 2018 winner and is part of the editorial team at FlashBack Fiction . She's interested in stories by and about the people you don't usually read about. Samuel A. Verdin is a writer of poetry and prose, as well as a student of creative writing at Bangor University. His work has appeared in Pushing Out the Boat, Freak Circus, Edinburgh Fringe Festival, and the Traverse Theatre, amongst others. He is currently working towards his first novel whilst completing his studies. April McIntyre is a cambridge-based writer and bedroom-based reader. She writes fiction and is a regular contributor of film reviews for HeyUGuys, ScreenWords and TakeOne. She also helps run the women's short film, event Reel Women at the Cambridge Arts Picturehouse as well as reviewing submissions and contributing words for the Cambridge Film Festival. She can often be found eating cake or petting cats on the street. 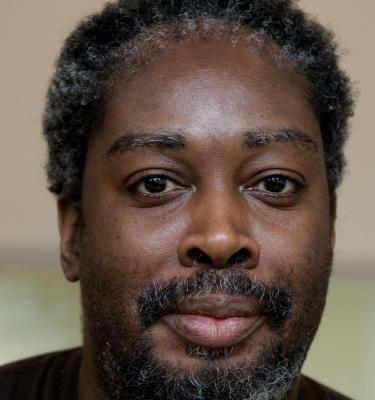 Othniel Smith’s work as a writer includes the stage play Giant Steps (performed in London and Cardiff in 1998 and published in New Welsh Drama II (Parthian Books, 2001)), eight episodes of children’s television series The Story of Tracy Beaker (CBBC), the short film Say It for BBC Wales/It’s My Shout (2013), the novel Yer Blues, and a number of dramas and short stories for BBC radio. 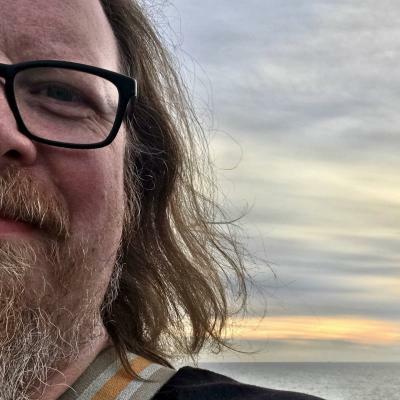 He has a PhD in Independent Film from the University of Glamorgan, and has made dozens of poetry videos (mercifully not featuring his own poetry) which are available to view on-line. He has worked as a reviewer for the British Theatre Guide since 2012. Katarina Mihalkovic is a writer and translator from Slovakia. She completed her first master's degree in human geography when she submitted a thesis on how culture and art can help cities develop. She then progressed to study film and obtained a bachelor's degree in screenwriting with a loose adaptation of Paul Auster’s memoir The Invention of Solitude. Since 2009, she has published multiple book reviews in Slovak periodicals and worked for a number of film festivals across Europe. Apart from writing, reading and exploring theatre in and out of Liverpool, where she is currently studying for her master's degree in screenwriting, she works on subtitles and translations for independent filmmakers and TV. 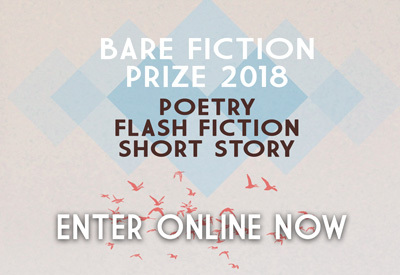 Luke Kennard: "Bare Fiction is a unique force for good in contemporary publishing. Many journals and magazines have a nominal remit to discover and nurture new talent, but I can't think of anyone else who truly lives by this philosophy whilst achieving the exceptional standards Bare Fiction reaches, issue after issue. I cannot describe the pride I felt attending the London launch of one of my former student's first poetry pamphlets last year (Jo Duffy). It is always the first imprint I mention to promising new writers as there is really no other publisher actively seeking and supporting new voices and doing it so well."